At In Depth Events, our event planning staff has years of experience providing services to all types of clients. Creativity is one of the most important aspects of planning an event, but attention to detail is a close second. Our event planning specialists know the step-by-step needs to provide a successful event for you and your attendees. We start with a list of all the possible needs of our client's event. Since each event is different, we go deep into the needs of the client to determine all the specific requirements their events will have. Municipal clients that are doing seasonal festivals will have a completely different list of needs than a non-profit fundraiser. From this point, In Depth Events works with the client to see how we can best fill their requirements. Some of our clients need us to monitor vendor registration and permitting, but would rather handle talent acquisition by themselves. A private event may start with venue selection but end with catering needs. Corporate events require interfacing with hotel staff regarding ballroom and dock scheduling. At the end of the day, we want you to have a great event. Whether that requires us to handle all aspects of event planning or just a few select items, we are here to assist you and your staff! 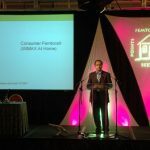 At In Depth Events, we work with several different types of clients to provide engaging concerts, festivals, corporate events and experiential footprints. 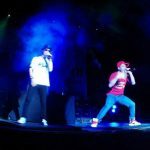 We are unique in the industry because we provide concert production services and social media strategies in addition to event planning services. By handling production needs with our event planning services, driving engagement with our social media strategies AND offering planning services, we streamline the event process from start to finish. Municipalities and master planned communities are the fastest growing customer bases we have, but we also work closely with concert and festival promoters. Event sponsors are a big part of our client base, as well as radio and television broadcast firms promoting their local stations. Marketing firms and DMCs love working with In Depth Events because they can provide site design in-house and allow our event planning experts to handle the legwork required to plan and execute their event. For a better understanding of the types of events we provide planning, production, and social media services for, please check out our drop down menu with a list of our event types. Or, feel free to Ask Us a Question. We look forward to hearing from you, and working with you! At In Depth Events, we are live event rental professionals. Our crew of technicians provide technical services for all types of events, all over the United States. This page gives you an idea of the live event rental types we do – but it’s certainly not a definitive list! Feel free to browse below, but don’t hesitate to contact us if you don’t see your event type listed here. We look forward to hearing from you and working with you to provide the best solution for your event rental needs! Weddings, wedding receptions, birthday parties and reunions are special days for any family and deserve to be treated in a special way. Here at In Depth Events, we can help get your event started with our audio rentals, staging rentals , lighting rentals and video rental for both indoor and outdoor family events! How we can help with your event? In Depth Events staff has done all sorts of events, but some of our favorites are 5K runs and marathons. 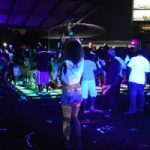 Whether it's a crack of dawn morning event with a local band or a night run with glow paint and DJ's, these events are always fun and exciting! Our staff helps make your event better by providing the latest in staging rentals, audio systems, lighting rigs and outdoor video rentals. Are you ready to GLOW? Then come to the black light experts at Sound Mind Events! We're the preferred vendor for black light party rentals across the country. There are several different names for this type of event. Some people call it a Black Light. Some people call it UV Lighting. Either way, Black light makes for a terrific party atmosphere. Bat Mitzvahs and Bar Mitzvahs can challenge the relationship between even the most loving of parents and their children. This - we know! We're here to make it easier for you. 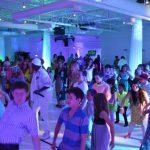 In Depth Events has provided production services for hundreds of Bar Mitzvahs and Bat Mitzvahs. 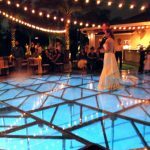 As a production company, we’re responsible for providing the best of staging rentals, sound system rentals, lighting rentals, and video rentals for indoor and outdoor Mitzvahs. In Depth Events provides full, live production services to marketing firms. We enjoy identifying new customers, new markets and new event technologies. However, it’s rare that we get to see a totally new event type come our way. Experiential events are changing the way that marketing companies market their client’s brands and we are interested, able and very willing to help you achieve your goals! Many of our clients come to us through one of our daughter websites, Texas Stage Rental. Through this site, we’ve provided stage rentals for hundreds of commencements and graduation events across Texas, Louisiana, and Oklahoma. 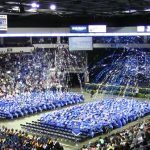 However, In Depth Events offers more than just the stage rentals for commencement ceremonies. We also provide rooftops for outdoor commencements, chair rentals, audio rentals, lighting rentals and video rentals. 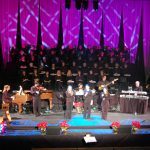 Live Event Production Services for your holiday events like Christmas, New Year's and Fourth of July. In Depth Events is an live event production company providing concert production services for our clients. Our concert production rentals include staging rentals, riser rentals, audio rentals, lighting rentals and video rentals for larger indoor and outdoor live events. Concert rentals can be a challenge even for the most experienced production company. Grueling hours, meticulous planning and to-the-second execution are all part of the job for the promoter and the production company. Outdoor shows are especially difficult because your venue is a field or a parking lot – you need a stage, rooftop and generators! In Depth Events has the years of experience and expertise to make your live concert event a success, whether large or small, indoors or outdoors. Your corporate event is priority Your message is important to you, and therefore is important to us. At In Depth Events, we provide the best in audio, lighting, video and staging for corporate event rentals. Our use of innovative video and conferencing technologies, combined with our tried and true lighting and audio rentals will make sure that your message to your attendees is delivered in the best and most professional possible way. 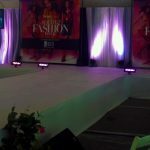 Fashion show rentals are different than most other live events where the production equipment is visible and add to the impact of the event. In a fashion event, the sound system rental, runway lighting and the runway itself are all part of the background. It’s the models, designers, and clothing that are the main focus of fashion events. It’s a very different style of production rental and fortunately, we are very, very good at fashion events! To make sure your attendees have a great time at your outdoor festival, make sure you hire the best and most experienced production company available – In Depth Events! We are professionals at this, having done hundreds of them over the years. We can provide the audio rentals, staging rentals, rooftop rentals and lighting rentals you will need for your event. In addition to these services, we also offer the generator rental and the power requirements to make sure your event is trouble free! Add to the excitement of your sporting event by choosing the best possible vendor for your audio rentals, lighting rentals, staging and rooftop rentals and video rentals. 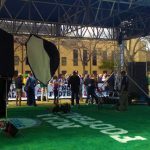 At In Depth Events, we’ve provided rental production services for sporting events both indoors and out. 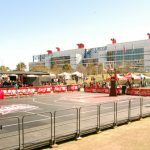 We’ve done motocross, wrestling, gymnastics, and kick boxing events, just to name a few - and we can help you put on the very best sporting event possible. No one besides In Depth Events offers a Guarantee of Services for social media engagement. 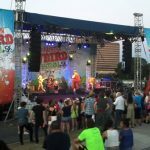 Experiences In Live Event Marketing:Verizon FIOS FEST!